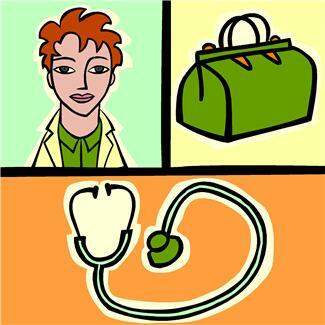 If you are interested in finding a Sleuth Who Is a Nurse or a Sleuth Who Is a Midwife, click here. If I have missed any other Cozy Mystery site authors who have a doctor/physician sleuth, please post a comment so that I can add the omission. The Brother Cadfael Mysteries by Ellis Peters, perhaps? The good Brother was an 11th Century Monk and Herbalist – the closest thing to a doctor at the time. C. F. (Francis) Roe wrote a series featuring Jean Montrose, a woman doctor in Scotland in the 1990’s. C. F. Roe was a vascular surgeon at Yale and other major medical centers. He retired to devote full-time to writing. They’re written in the style of Hazel Holt, who is one of my favorite authors. Clean, intelligent and challenging stories that entertain, enlighten and leave you wanting more. There are 8 books in the Jean Montrose series and I highly recommend them. Even though they’re out of print, you can easily find them at used book sites. Sharon, thank you for telling us about C.F. Roe’s Jean Montrose mysteries. They sound really interesting. (Hazel Holt is one of my very favorite mystery authors also. My teen aged son supplied me with the term “cozy mystery.” Recently, I was trying to define the types of books I most enjoy and told him I liked mysteries by people like Agatha Christie and Rex Stout and TV shows like Murder she Wrote, Columbo, Midsommer Murders, Monk, Touch of Frost, and many of the British Inspector series like Morse and Lynley, etc. He said these were what a lot of people refer to as a “cozy mystery.” This led to an internet search and finding your brilliant site. The site is well organized, fun, and extensive. Thank you for providing such an easy way to find new favorite authors and perhaps make some more online friends with similar interests. This may be just asking too much, but I would love to see some kind of asterisk or other key that indicates the book is available as an audiobook on, say, Audible.com. Any free sources besides ones local library for audiobooks by these authors would also be a great find. Some like me, may find out reading can only occur during long commutes or other time when the mind is free to listen but the hands and eyes are not free to read books. Then there is the ultimate Nirvana of being able to note who reads the book professionally in the audio format . . . I know, that’s probably for another site . . . .
Just one little critique, to be a accurate, psychiatrists are physicians. Psychologist are not physicians but psychiatrists are and have the long residencies to show for it! Forensic or not, we have the same medical training and degree (MD in the states and other in Britain and Ireland) as our brothers and sisters, and we have assisted in surgery, stitched wounds in the ED, and delivered babies! I would love to see any mysteries with a psychiatrist protagonist listed in their proper place instead of with “others” in the medical field. Thank you again for taking the time to create this lovely site and making my future reading plans very exciting. Welcome to the Cozy Mystery site, Patti. Yes, I know that psychiatrists are medical doctors. I put Lis Wiehl’s and Pete Nelson’s East Salem Trilogy in the “others field” because I thought that since their main sleuth, Dani Harris, is a forensic psychiatrist, she isn’t actually assisting with surgery, stitching wounds in the ED, and delivering babies. I wasn’t quite sure what a forensic psychiatrist did, so I looked it up and found that they are the psychiatrists who work with the courts. (I know that’s a “nut-shell” definition!) I certainly didn’t mean to diminish their psychiatric training. Thank you! I’ll go ahead and add the East Salem Trilogy series to the doctors’ list. Patti, I know what you mean about audiobooks. We’ve been members of audible for years and I know how difficult it is to find books. I usually end up going through my list of favorite authors and try each one of them in audible’s search box. What about Dr. Watson? He was a co-sleuth with Sherlock Holmes. Both of them were very good at treating other people’s injuries, although Sherlock tended to do more in the area of comforting the patient and left the real doctoring to Watson when Dr. Watson was around. But there were times that Sherlock showed a certain amount of medical expertise, like when he treated a couple of guys in two different books that had fainted in his rooms or when he put Dr. Watson into shock by unexpectedly showing up after Watson thought he was dead. Also, when Sherlock pretended to have caught a fatal disease and was dying, he kept Dr. Watson away with insults so he could fool Dr. Watson into bringing his would-be murderer to him. Otherwise, as he remarked later, the plan wouldn’t have worked. But even Sherlock had the highest regard for Dr. Watson’s medical expertise!